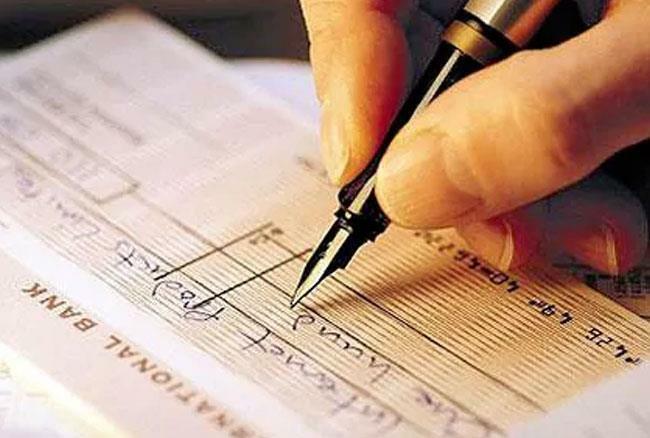 BHOPAL: A senior functionary of industry body CAIT said the Centre may withdraw the bank cheque book facility in the "near future" to encourage digital transactions. "In all probability, the Centre may withdraw the cheque book facility in the near future to encourage digital transactions," he said. Khandelwal was talking to reporters at the launch of 'Digital Rath', a joint initiative of the CAIT and Mastercard to encourage traders to adopt different modes of digital transactions and promote cashless economy. The CAIT secretary general said, "The government spends Rs 25,000 crore on printing of currency notes and another Rs 6,000 crore on their security and logistics. "Moreover, banks charge 1 per cent on payments through debit card and 2 per cent through credit cards. The government needs to incentivise this process by providing subsidy directly to the banks so these charges can be waived." Mastercard Executive Director (Global Community Relations) Ravi Aurora said this initiative with the CAIT will provide a "major fillip in our endeavour to move towards a less-cash society". "Under the digital literacy campaign, we have held about 450 conferences during the past three years. By the end of next month, we have set the target to reach to 10 lakh merchants to support the government's target of powering 2,500 -crore digital transactions," Aurora said. Aurora said 'Digital Rath' would further strengthen the nationwide movement of 'Cashless Bano India" in line with the government's vision of digital India. "We believe small traders and merchants are an important constituency to help India transform into a knowledge economy." He said Mastercard has invested about $500 million in India during the past couple of years and it plans to pump in another $700-800 million. CAIT president B C Bhartia said a sizeable part of the Indian population consists of youths. "Youths prefer digital transactions. Even temples have put up machines for digital transactions. Now, the government needs to make digital transactions more attractive," he added.